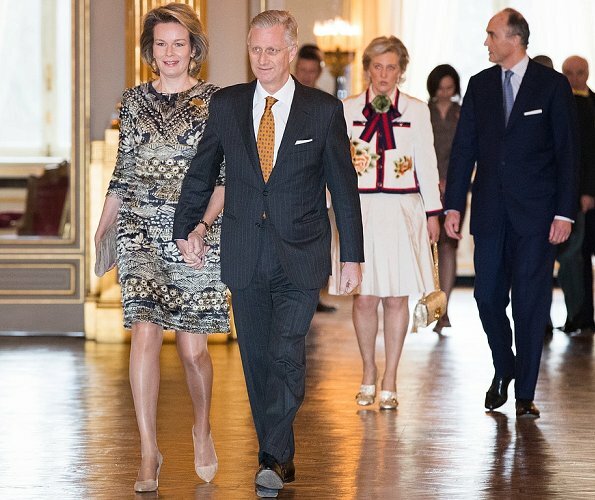 On January 31, 2017, King Philippe, Queen Mathilde, Princess Astrid and Prince Lorenz of Belgium attended a New Year's reception for the Belgian Authorities at the Royal Palace, in Brussels, Belgium. 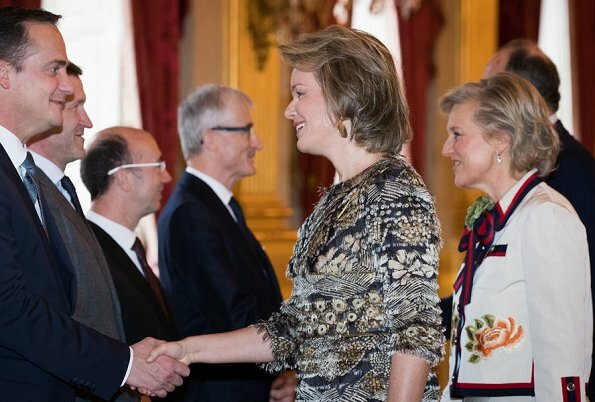 Queen Mathilde looks rather good but Astrid has far too much going on to my taste. Mathilde ok but she can do better. Astrid - what in the world is she wearing? Astrid seems to be under the impression that because she's wearing head to toe Gucci, that's she's automatically stylish. She's dead wrong. I wish some women would learn that just because it's in style at the moment and you might be on trend, that it doesn't mean you'll look good wearing it. King & Queen look so happy. Astrid looks waaay happier than earlier this year. Like Mathilde's ensemble although it is BUSY but you and Romana say it best @Chelsea when it comes to Astrid. We discussed this in an earlier post about not blindly following "fashion", even if it's a big name designer, when it just doesn't look good. So that's a fail for Astrid, who still isn't smiling. Mathilde looks nice - it's a busy print but not too "loud", the style is simple and her shoes and clutch are neutral. Agree Heather, too many people do blindly follow every single trend and style. 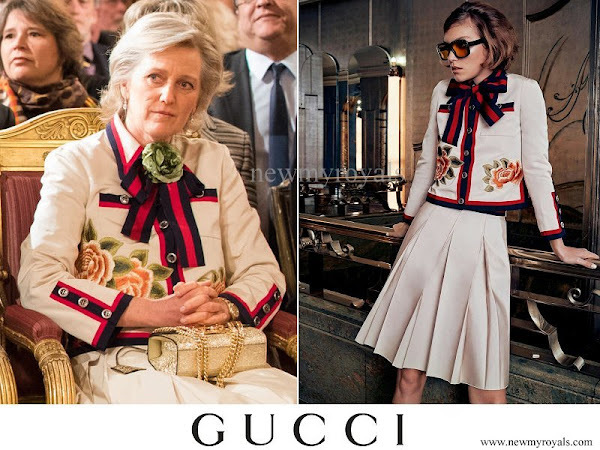 Just because the label might be Gucci or whatever else doesn't mean you'll look good wearing it. I think a few of the royal ladies need to learn that. Réception du nouvel an ! Il était temps ! not a big fan of this outfit in particular. but she looks radiant. I like what Mathilde is wearing, but Astrid's ensemble is horrible, even the shoes are awful. 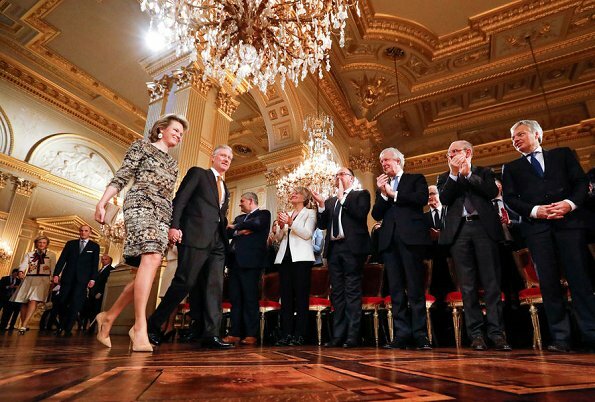 El vestido de Mathilde es feo, pero el traje de Astrid es de juzgado de guardia.